eFilmCritic - Criticwatch - The Quote Whores Are Coming! The Quote Whores Are Coming! Criticwatch - The Quote Whores Are Coming! The Quote Whores Are Coming! John Milius' 1984 jingoist referendum on the Cold War, Red Dawn, is held in some regard in the same circles that can re-watch such '80s relics as Commando, Road House and the Rambo films. There is even some general appreciation around the edges of its silly insanity for taking the subject matter with a few degrees of actual gravity. Roundly dismissed at the time, it garnered more press (and a place in history) by being the first film ever released under the new PG-13 rating. After a summer of dislodged hearts and exploding creatures in microwaves, parents had enough and the MPAA gave the inaugural rating to a film that was eventually put into the Guinness Book of World Records for the most acts of violence per minute than any produced film up to its time. (Check out the "Carnage Counter" on the Collector's Edition DVD.) Now it comes time for the remake. 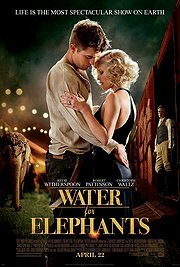 Actually two years ago was the time as the film was delayed from its original Nov. 2010 release date due to MGM's financial issues. Poor Chris Hemsworth had to also wait around to see The Cabin in the Woods finally released this year. After hitting a box office stride in Thor, The Avengers and Snow White and the Huntsman, Red Dawn 2012 is one film he probably would have been happy to see remain buried. Yes, it's even worse than Snow White and the Huntsman. How bad is the remake of Red Dawn? Maybe not quite as brain-wrenchingly awful as the 2010 Australian doppelganger, Tomorrow When the War Began, but it comes reasonably close. Don't take my word for it though. Move on over to Rotten Tomatoes where out of 129 films released wide in 2012, Red Dawn currently ranks 120th. That's the bottom ten, people. It's 12% rating actually just edges out House at the End of the Street and ties Gone but that is easily broken when we see that Red Dawn registers far more negative reviews. House didn't screen for critics in advance. In fact, depending on the market you were in you could say that Red Dawn is the only film in the year's Bottom 11 to be screened for critics more than a day in advance. Eddie Murphy's A Thousand Words, still languishing with an 0% rating (0-for-54 despite the Lincoln-hating Shawn Edwards saying it was "Heartwarming and hilarious. Eddie Murphy is a comedic genius") screened the Wednesday before release in Chicago. 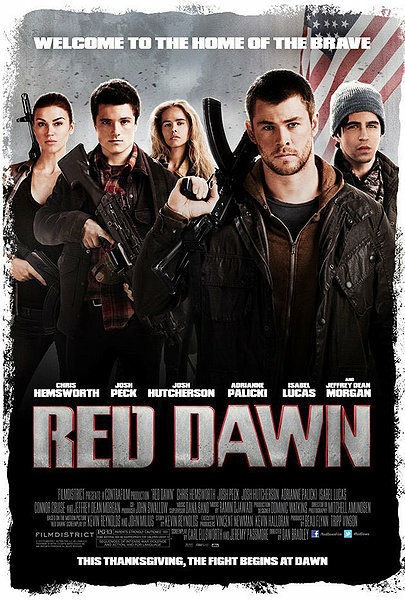 Technicalities aside, it would appear that Red Dawn is the worst film of 2012 to actually screen in advance for critics. Congratulations, director Dan Bradley! Far more fun than actually watching the movie is debating afterwards just who the true villains are in the piece. Originally it was the Chinese, but as it was decided that they have money to burn on American cinema, all the flags were digitally altered, the prologue was changed (and likely changed again once Kim Jong Il bit the dust) and baddie Captain Cho can now be a North Korean. Lateral move, right MGM? Then you've got the few turncoats who get about 15 seconds of screen time to betray their country. If you're waiting for the new Daryl to swallow a bug and betray his fellow Wolverines ("my FATHER turned me in"), the remake completely misses the boat on that opportunity. A more hilarious resolution is offered. Actually the real winner in the context of the film is Subway, which has clearly struck some deal with the invaders to be the only fully functional restaurant in town where the occupied can enjoy their $5 footlongs next to the balls it took to include one of the most shameless product placements in recent memory. Budweiser in the hands of a drunk-driving Denzel Washington doesn't look as bad as the Jared-approved sandwich chain today. We all know what we're getting at though, right? "There is fraternal bickering, inspirational speechifying, precisely two beautiful love interests, and otherwise wall-to-wall action." "There�s no room for characters, only archetypes. There�s no room for dialogue, only exposition and inspiration." You can see which part of his review the studio was happy to take. Along with "exciting"
"The action, while far, far too shaky, is still exciting and occasionally thrilling, especially an early car chase sequence." "Bottom line: Red Dawn isn�t very good as a film, but as a vessel by which filmmakers manipulate your animal impulses, it�s a good time. Go Wolverines." It's a mixed review at best with just enough positivity to show that he liked it enough (in probably the same way that many of liked the '84 original.) Though usually a publicist from the studio will ask for approval when taking quotes from reviews out of context. Like with Roger Moore. We try to ignore him as much as possible as he's liable to going into a tirade about how important he is and how he's better than all of us because he likes The Kite Runner. What did he say about Red Dawn again? Really? Take away the silliness of the premise and basic critical faculties should tell you that Milius' version had a sense of isolation, character arcs, a rousing score and a sense of loss, exhaustion and starvation (no Subways up in dem der mountains). The remake has none of that. How could Moore say its better? Or did he? "The original �Red Dawn�...had a scruffy, lived-in �Friday Night Lights�-meets-�Lord of the Flies� aura about it � rural kids comfortable with guns improvising their way to getting comfortable shooting Russians and Cubans. The new �Dawn� has the Thor-sized Marine teach city kids insurgent warfare. Not better, just different." "Not better, just different?" Where does he say its "better than the original" then? One area in which the remake matches the original is in school spirit, cheer-leading every ambush. It�s a real crowd-pleaser. And it betters the first film with every fire fight, every improvised explosion. Bradley auditions for a future �Die Hard� here. And passes. Which is about where �Red Dawn� lands � a passing grade." Wonder if Mr. Moore was approached to approve the "better than the original" quote. He might not be lying in the sense that a 2-star film was an improvement over Milius, but if he approved the quote to go out there with his name on a film he clearly was not recommending, that would make him a whore. That is just one of the many instances of how it works.When there is no review in question, the approval is instantaneous once the junket whore opens their mouth or points to a piece of paper with their words pre-written for them by the studio marketers. Good call there, Rick, on a film that was practically laughed out of the press screening at Sundance two months earlier. The Red Dawn remake may not be a winner, but Mic Trotty certainly was. He became the 2012 CW Austin Star, a sort of American Idol for on-air entertainment reporting there. Brittany Young was another "guest reporter" contest winner for Good Day Sacramento and now spends her days with perennial Whore of the Year finalist, Mark S. Allen, on his Reelz Channel suckfest. You can see what KVNU's Andy Morgan is all about at his website where one of his recent blog posts says the new Zero Dark Thirty trailer is "a testimony to awesome and awards" when his blog is actually a testimony to hyperbole and wannabe whoredom. Now we get into the heavy hitters. This year, Russell has loaned himself out near exclusively to Summit this year with three of his five quotes going to The Perks of Being a Wallflower, Man on a Ledge and Gone. The latter Amanda Seyfried/Wes Bentley joint ranks as the 11th worst-reviewed film of the year, just ahead of Red Dawn. Way to pick 'em, Greg. What else do you think qualifies as fun again? Those three films average out to a 23% on Rotten Tomatoes. We're going to stretch out a little bit with Russell's action quotes because, well, it's just too damn easy. That's a Rotten Tomatoes average of 27.6%. Not a positively-reviewed film in the bunch going by the aggregate. Next up is the whore practically defining such a record in 2012. "A love story for our times." We are still awaiting definitive proof that Jeff Craig actually exists. Until someone provides an actual photo, we will continue to use the one on the right and assume that is the one using press releases for his reviews when he's not farming up his phantom staff to review them for him. We found three quotes to accompany his pre-delivered Red Dawn notes. What more do you really need? If we may dare to actually quote the new Red Dawn, "For them this is just some place. For us, this is our home." There are a lot of respected critics who make the movie theater just that. So, get the hell out of our home you pathetic whores. WOLVERINES!! !